Let us shun babalawo analysts who play down the leadership factor and insist that a docile citizenry is responsible for our stagnation, that once we do away with a pliant disposition, a pro-people leadership would emerge. No. Enduring change in society begins with the right leadership. The more I see (Manchester) United play, the more I’m amazed at how (Jose) Mourinho was able to get so little out of this group. – J.J. Bull, football writer with The Telegraph of UK. The tragic reflection of a keen football writer thrown into incomprehensible consternation by the hard-up performance of a club brimming with world class stars on account of a coach’s inability to manage resources and talent in his custody, is also the tale about, and summary of, the recurring misfortune of Nigeria at the hands of destitute leadership since our Independence in 1960. After visiting Manchester United, under a new manager, had hammered Fulham 3-0 in a league match last week to give the club 11 games without a single loss and to lift it to fourth place for the first time this season, the Scottish newsman at The Telegraph wondered what had been happening all along in the days of Mourinho, when a string of losses and draws threatened United with unprecedented relegation. His surprise was that the new coach, Ole Gunnar Solskjaer, fielding the same players at the disposal of his predecessor, had suddenly returned the winning ways to the Old Trafford giants. Now, a few soccer pundits say the club still has a chance of bagging the EPL crown. What has happened to usher in such wild optimism, where until now there were negative omens? What changed when no new player had been bought? Why, in less than two months of the change in coaching leadership at the club, there is no more talk of a drop to a lower division, but of move a “beyond the top four”? What is making the difference is leadership. Nothing else. There are some voodoo theorists arguing that the problem wasn’t management but dressing room feud, first, among the players, and secondly, between some of the footballers and Mourinho. They say it was a deadly mix no coach could handle, even if he was the collage of all the best coaches in history. Many don’t agree with them. The point remains that to be a good leader isn’t only about taking care of the agreeable hands in your care. You must make use of the ‘good’, ‘the bad’ and ‘the ugly’. The condemned ‘ugly’ and ‘bad’ all have some value, even if it is counted as the proverbial nuisance worth. They must all fit into your cosmos of operations. You will fail if you build your hopes only on the ‘good’ ones. So the argument of a player conspiracy being the undoing of the Mourinho era is knavish. Let’s just admit his legendary skills deserted him when it mattered. The man had a surfeit of resources he failed to prospect, which his successor is exploiting to no end. On Saturday February 16 and March 2, Nigerians must go for the next generation of politicians for a new leadership which can convert our mammoth resources into prosperity for our land. In Nigeria, we are also giving the global community the Eighth Wonder of the World, which the ancient world couldn’t offer. That old order stopped at Seven Wonders, unable to add another stupendous human feat. 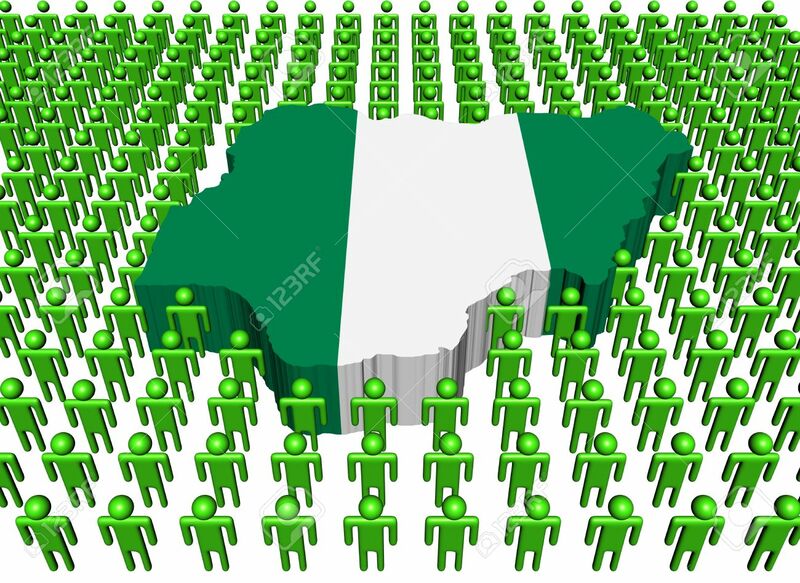 Now I am happy to declare that Nigeria, with our inexhaustible human and natural resources but perennially without an adroit manager to tend them, is The Eighth Wonder. If Nigeria were among a collection of museum pieces at an exhibition, I very much doubt if any other artifact would command more interest than Nigeria. We would certainly be the cynosure of every tourist. The magnetic pull would be irresistible. For they would wonder as The Telegraph reporter did: The more we see Nigerians in their necessitous state, the more amazed we are at how they are getting so little out of their abundance. Nothing could be more excruciating: to live in, and behold cornucopia, and yet be alienated from it or be denied access to it! It has to do with those we elect to drive these resources. We need to choose those who would identify with the people who give them the mandate to rule. None ought to come from the circle of those we have marked as the authors and grandfathers of what has brought us to our knees and put us in the same vessel as that of Coleridge’s dying seafarers. Let us shun babalawo analysts who play down the leadership factor and insist that a docile citizenry is responsible for our stagnation, that once we do away with a pliant disposition, a pro-people leadership would emerge. No. Enduring change in society begins with the right leadership. The great revolutions and movements in history had selfless leaders with the people on their side. These leaders didn’t have homes or doctors or schools abroad to flee to when fixing domestic infrastructural challenges. These are the leaders we need: those who will leave office poorer materially than when they come in, but unfathomably rich in unrestrained loyalty to the society!